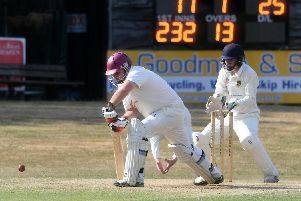 Great Brickhill took full advantage of the weather to take over at the top of Cherwell Division 1. While Oxford Downs 2nds began the day on top, weather forced their game with Challow & Childrey into postponement, Great Brickhill were able to get their game with Buckingham Town 2nds not only to go ahead but also to a victorious end. Four wickets apiece for Jack Woodhouse and Asif Khan reduced the visitors for just 115. 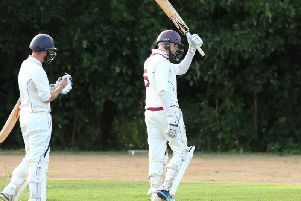 Patrick Sreenivasaprasad’s unbeaten 60 from 37 balls guided Brickhill to 119-2 and an eight wicket win and the lead in the league now by a single point.